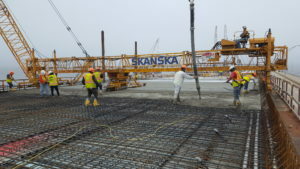 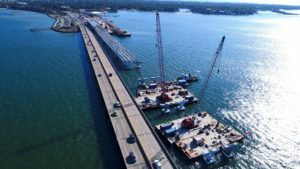 The Pensacola Bay Bridge construction team reached a milestone Wednesday, Feb. 14 by pouring the first two concrete spans for the new bridge. 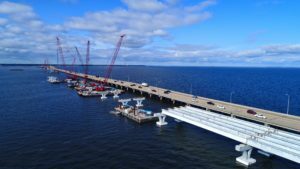 The bridge spans are cast-in-place atop the Florida I-beams that are used to connect the trophy pieces. 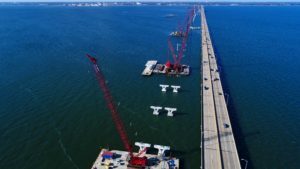 Effective immediately, the U.S. Coast Guard has established a 500-foot safety zone for all navigable waters of Pensacola Bay within 500-feet of the construction of the new Pensacola Bay Bridge.